Contract killing is a dirty business that irreparably clouds the moral compass. 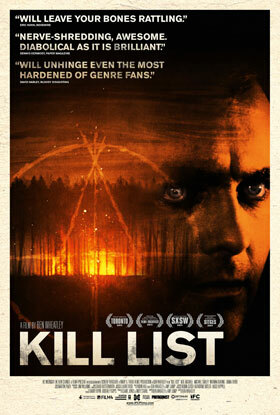 Two working class Yorkshire hitmen ought to have sensed there was something especially wrong about their latest job, but they are unable to pick up on the bad mojo until it is far too late in Ben Wheatley’s polarizing genre-straddler Kill List (trailer here), which opens this Friday in New York at the IFC Center. Jay and Gal’s last job in Kiev was so horrendous they can only refer to it obliquely. The schlubby Jay is particularly gun shy, but his out-of-his-league looking wife Shel keeps nagging him over money. As fate would have it, Gal has a too good to be true gig: three easy hits for a major payday. The meeting with the client is a rather strange, but the first job is easy enough. Things get a bit messy after that. List does not really pull off the Scooby Doo mask and announce itself as an outright horror movie until the third act. However, Wheatley masterfully builds a sense of mounting unease throughout the first two thirds of the film that compounds rather wickedly. Something is definitely not right here, but he never really spells out the details for the audience, until we are knee deep in it all. Frankly, Wheatley flips the switch a bit too quickly. List goes from cerebral naturalism to gory Grand Guignol in about ten seconds flat. Many viewers who are still thoughtfully parsing all the little clues will be put off by the jarring descent into mayhem. Jay’s banality is actually part of the point and Neil Maskell certainly expresses it convincingly. 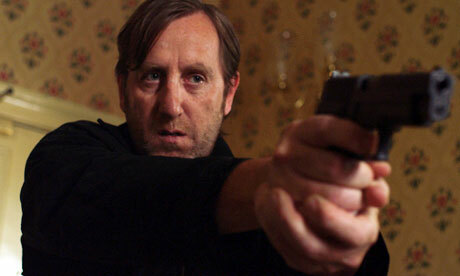 In contrast, most of the character seasoning comes from Michael Smiley’s Gal, who is fascinating to watch throughout. The best supporting actor winner at the 2011 British Independent Film Awards, he keeps the audience off balance while piecing together strange parts of the puzzle. One definitely has to be a bit cagey when writing about a film like List. It will not be everyone’s cup of tea, but it is the first horror movie in years that could inspire heated debates. A strange mixture of occult, domestic, and existential horror, it is unquestionably destined to be a cult classic. Creepily effective, List is recommended for high-end genre fans when it opens tomorrow (2/3) at the IFC Center in the West Village.